Scrawled in black and red paint, these two phrases emblazoned the posters of best friends Gemma Favaloro and Isabella Casteion from Kent Middle school in Marin County. 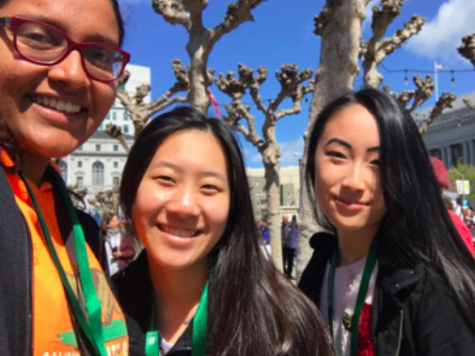 As seventh graders, they were among the youngest activists at the March for Our Lives in San Francisco. That morning, they had urged their parents to take them to the demonstration, eager to experience a protest for the first time but even more enthusiastic to support a cause close to their hearts. 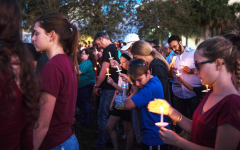 They were only twelve, but they felt for the young survivors of the Marjory Stoneman Douglas (MSD) High School shooting. 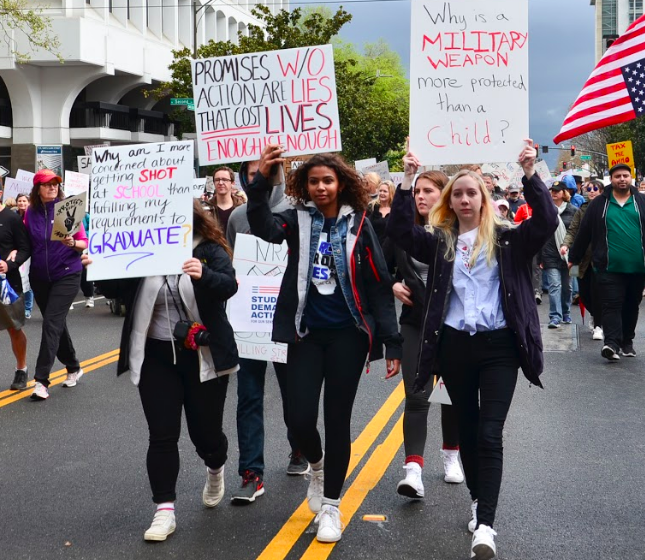 They were only twelve, but they wanted their voices to be heard, for politicians and policymakers to act upon the demands they shared with thousands of protesters. Gemma and Isabella participated in just one of the more than 800 March For Our Lives protests, which took place worldwide on March 24 to rally for tighter gun control and safety measures in light of the school shooting at MSD in Parkland, Florida, that killed 17 students and faculty members last month. Sumati “Sumi” Wadhwa (12) and Esha Deokar (11) cheer during the San Jose rally. The demonstrations are part of a larger movement spearheaded by MSD students Emma González, David Hogg and several others. González and Hogg co-founded the initiative Never Again MSD, an organization committed to promoting gun control. 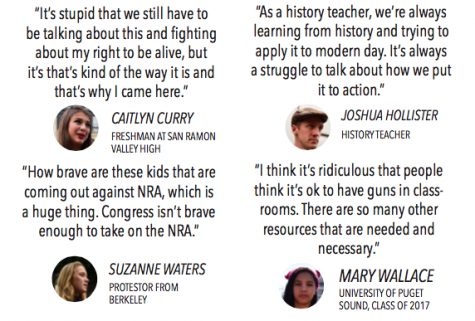 Unlike previous efforts to enact tighter gun legislation, the revitalized movement led by these students and their allies comprises of high-schoolers. Carrying forward the advocacy of the MSD students, high school and college students across the nation coordinated and attended marches in their respective communities. 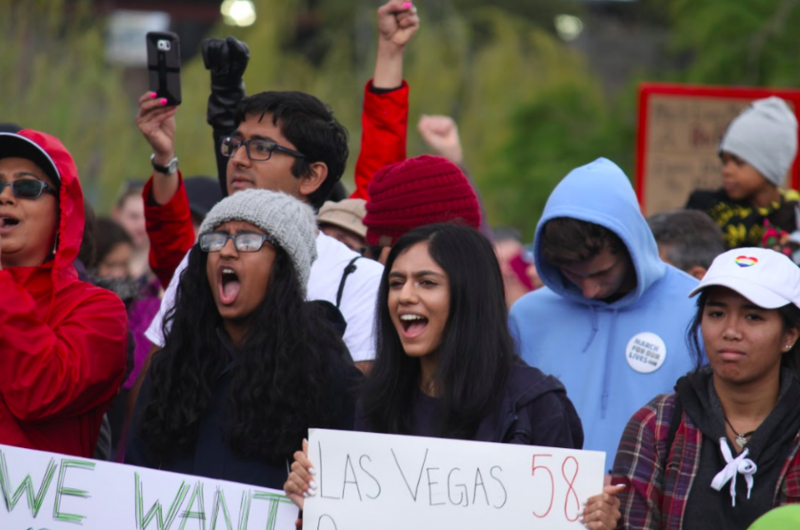 In the Bay Area, more than eight mass protests took place on March 23rd, including demonstrations in San Francisco, San Jose, Santa Rosa and Oakland. Lowell high school freshman Jason Chen was the lead organizer behind March for our Lives San Francisco, and like many of the initiative’s leaders, he believes that the youth-powered activism of the movement will encourage tangible change in gun legislation. Over 25,000 demonstrators, many of them high-school and college students, attended the march in San Francisco alone. 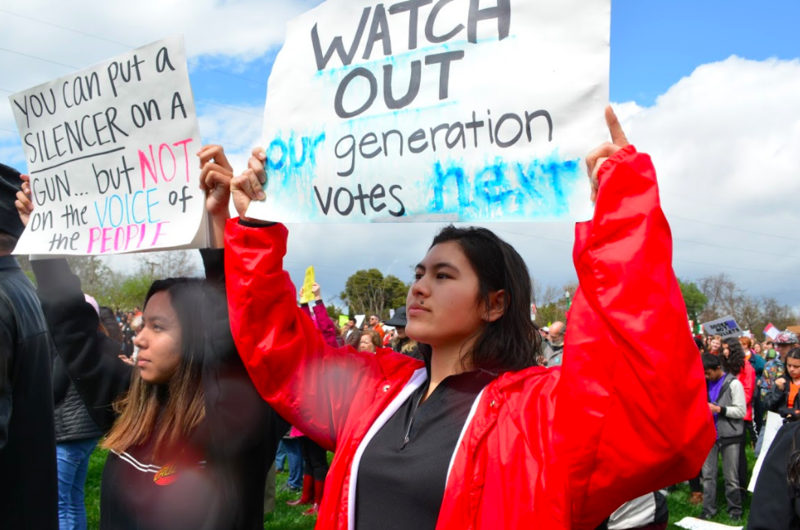 High school students protest at March for Our Lives San Jose on March 24, walking from San Jose City Hall to the Arena Green in the rain, along with thousands of others across the Bay Area. The massive turnout of the San Francisco protest–as well as the thousands of people who marched in cities around the world–is due in part to social media. 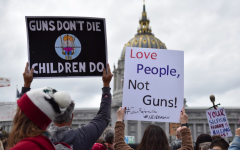 Users began posting #NeverAgain after the Parkland shooting to express their solidarity with the survivors and their support for gun control and turned to social media platforms to spread word about the march. While the MSD students have mobilized the movement on social media, these students and their fellow activists across the nation have demanded stricter gun legislation that encompasses policies ranging from required background checks to a ban on assault rifles. This call for “common sense gun laws” has yielded action among Florida lawmakers. The Florida legislature passed the Marjory Stoneman Douglas High School Public Safety Act on March 8, which raises the minimum age requirement to purchase a firearm to 21, establishes longer waiting periods, and allocates $400 million to mental health resources and for the hiring of school resource officers. 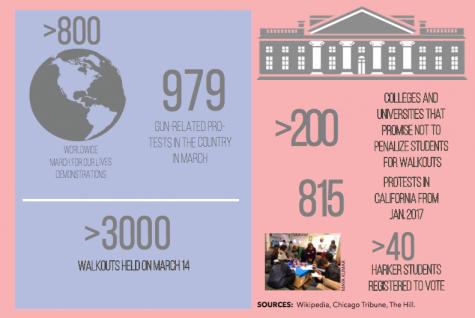 Despite the changes in Florida’s state policies, congress has yet to pass comprehensive legislation on gun control. According to California senior senator Dianne Feinstein, a pending judiciary committee bill with 30 co-sponsor proposes to ban assault weapons. 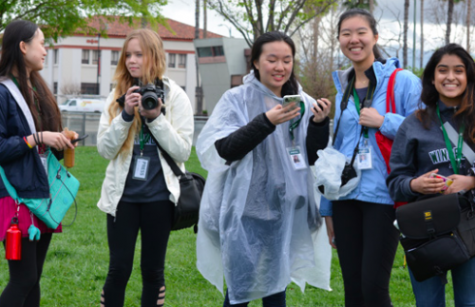 Fourteen Harker student journalists attended March for Our Lives rallies in San Jose and San Francisco to take photos at each event, interview attendees and listen to speakers. Prior to the March for Our Lives protests, the Harker community held a walkout and vigil on March 14 to commemorate and honor the lives lost in the massacre, an event hosted by various student organizations and clubs on campus. 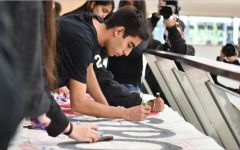 Students also had the opportunity to sign a banner for MSD, write letters to local congressmen and district representatives or purchase snacks to support the MSD community. Student council, Harker journalism and the speech and debate program collectively organized a session hosted by History teacher Carol Green on informed voting, a pre-registration opportunity for 16 and 17 year old students and a bipartisan debate and town hall on gun control. This piece was originally published in the pages of The Winged Post on March 30, 2018.